You can have the Tom Brady Collins or the Goff &amp; and Storm. BAKERSFIELD, Calif. — Looking for a bar and restaurant to watch Sunday's football game? Eureka! 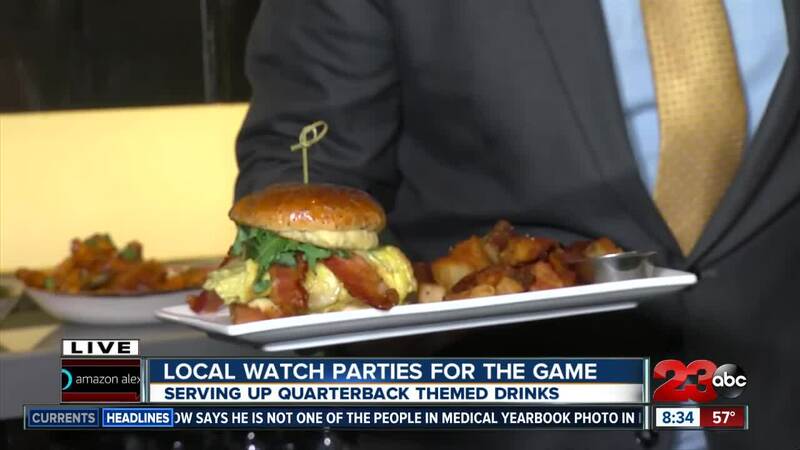 in Southwest Bakersfield is offering quarterback themed drinks along with drink and food specials. Bar manager, Dillion Brazeal, said one of his bartenders came up with the idea. She took the quarterback match-up of the New England Patriots' Tom Brady and the Los Angeles Rams' Jared Goff and created two drinks, one for each player. The Tom Brady Collins is a gin-based drink while the Goff & Storm is a spiced-rum based drink. You can try either or both at Eureka! in Southwest Bakersfield for Sunday's game or during future visits.